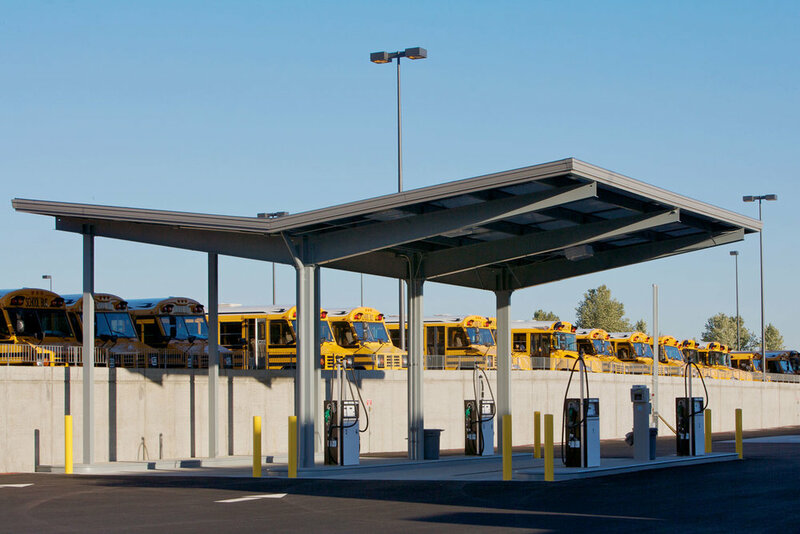 The design of the Transportation Center provides the Northshore School District bus drivers, dispatch, and maintenance staff with a modern, comfortable environment that meets the functional and operational needs of a light industrial facility. 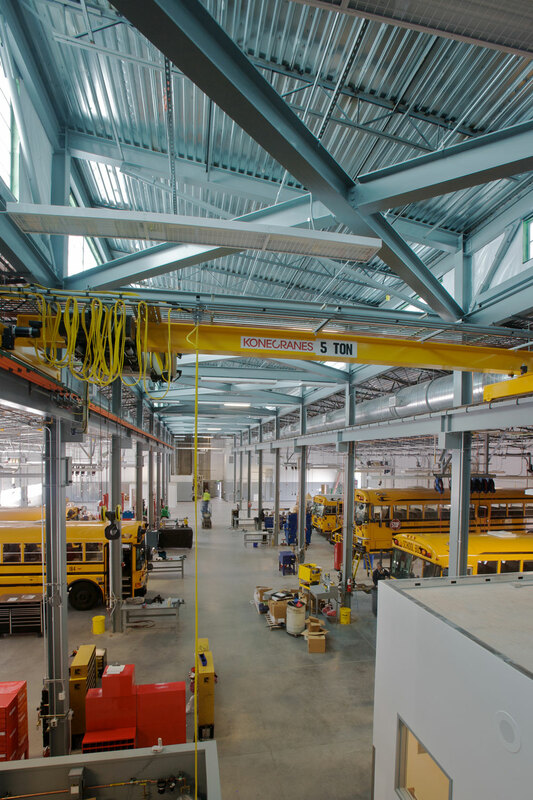 The 7,780 SF administration wing provides spacious offices, central dispatch, a large training room and many comforts for the District bus drivers including a kitchen, media lounge/computer room, fitness room and quiet room. 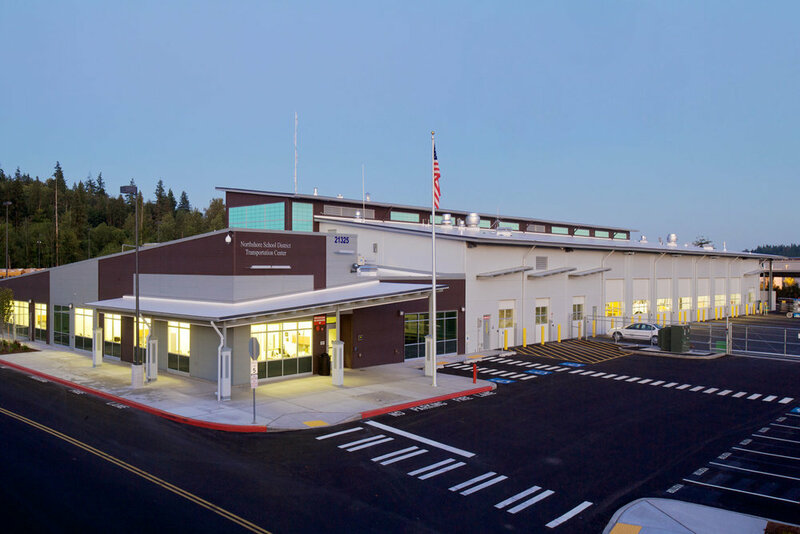 Designed to share facilities with the City of Bothell Department of Public Works, the 12- acre site holds two re-fueling stations, a full drive through bus wash, a scissor-lift chassis wash area, and enough parking for 166 cars, 44 district service vehicles, and 156 buses. The large 34,700 SF shop area has 16 distinct repair bays, featuring 6 hydraulic service lifts, hydronic radiant slab heating, exhaust reels, and a lubricant/oil distribution system that includes antifreeze, compressed air, and three grades of engine oil.